It’s the 11th February 2010 and I’m sitting at my kitchen table working distractedly (always distractedly) on my PhD thesis. My phone buzzes and it’s a message from my husband, “have you seen the news?” What news? I turn up the radio from its usual background-just-for-company-hum and hear the headlines announcing that Alexander McQueen has died. I sit there in shock; cold extends up my fingers and blood drains from my face. I check the Internet for news because I can’t believe it. I cry on and off for the rest of the day. I go upstairs and immerse myself in my wardrobe, seeking out the 2003 canary yellow cashmere shrug and tasselled belt that conjured up the two sides of Irere, the 2006 black liquid silk top I had worn to gigs and felt bulletproof in, the 2001 tweed and leather strapping coat that I stood taller to stride in, the 2005 prototype leather jacket covered in McQueen’s red pen and stuck on patterns that I loved to marvel at. 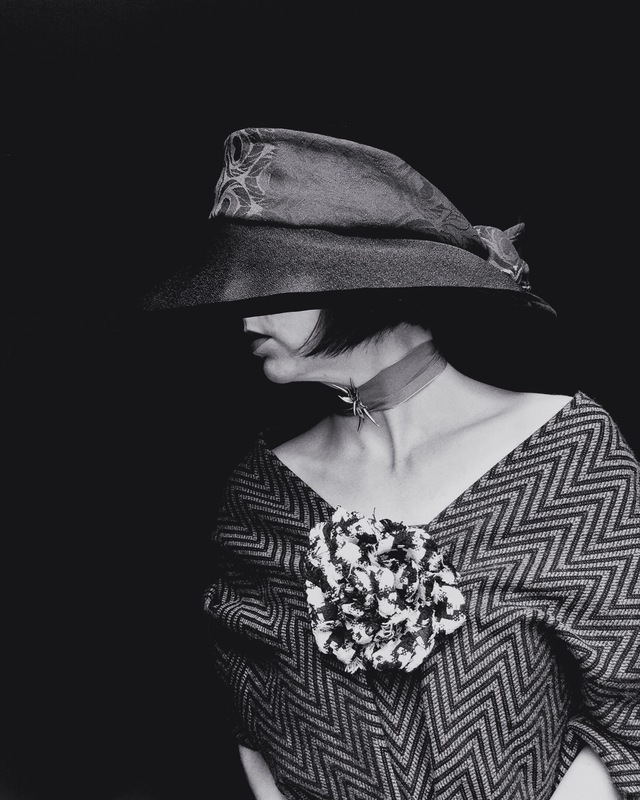 In amongst the humdrum of my everyday wardrobe were gems of perfect tailoring and pattern cutting; items of clothing made from material so beautiful, so wonderful to feel and to examine. Clothes that offered me a protection on days, many days, when I wanted just a little something extra, an additional layer of skin when mine alone felt too vulnerable. 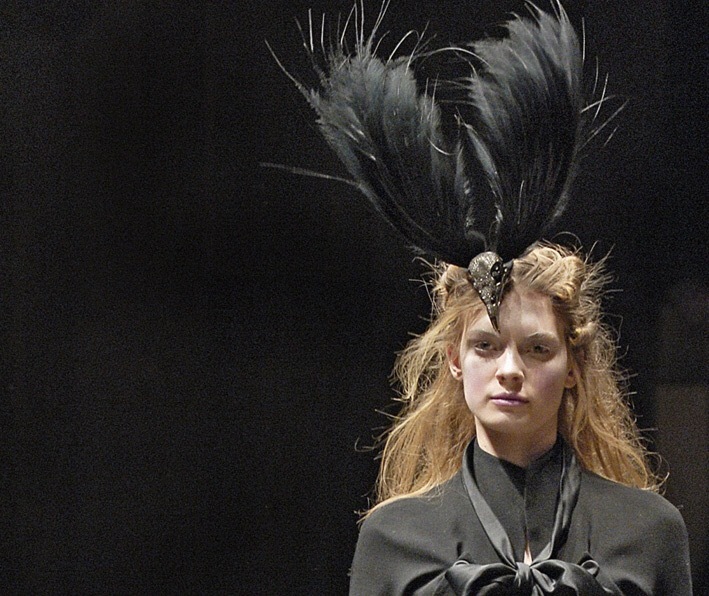 In the days that follow my usual searches for McQueen heighten and in particular I focus on the Fall 2006 The Widows of Culloden collection of quintessential English tailoring that drew in part from McQueen’s Scottish heritage and the concept of flight. From structure to subversion to freedom; the desire to drop everything and flee somewhere else has always been at my core. In this collection was McQueen’s love for heritage, tailoring, eccentricity, fierce strength and the delicacy of decay. I understand it all. The eagle skull headpiece, designed by Shaun Leane sums it all up; falconry birds, so graceful in flight, captured in their final form. I tell my father about it in a gust of emotion. My usual flight reaction is in full swing as I leave for Portugal a couple of days later having just turned 30. I am facing, if not writers block then, a kind of PhD inertia that comes from feeling so overwhelmed by the 90,000 words I know need to be written. Leaving on a plane to be somewhere without the daily distractions is my default solution to these periods but this time my father is joining me. Not as a hanger-on to enjoy the winter sun but as my theoretical consultant, sparring partner and emotional strength. We meet at Faro airport and take a taxi to a modest hotel that makes off season Albufeira seem almost typically Portuguese quaint were it not for the very British all inclusive guests. It does not matter for we have adjacent rooms with balconies that mean we can gaze out over the sea as we talk over the theoretical sticking points of my research. As we unpack he gives me a familiar looking grey bag which contains two beautiful Alexander McQueen scarves that my mother has chosen for us. I decide on one and feel extremely lucky; it is a chiffon burgundy silk with gold Paisley skulls. Down by the poolside we drink dreadful hotel coffee into which we tip a generous measure of brandy before heading into the old town for lunch. At a lovely harbour side restaurant we sit outside in the pale sun, picking out fresh prawns from their shells and drink sublimely crisp vino verde. Over more brandy he gives me another grey bag tied with satin ribbon. On the bag is embossed the name “Shaun Leane” and my eyes flash up to his in shock and surprise. He is smiling at me mischievously. Inside is a firm grey box and inside that, resting on grey velvet is the eagle necklace. It is a perfect rendition made in miniature of the eagle skull from McQueen’s 2006 collection. Delicate, highly polished silver that looks almost innocuous until one realises what it is and the slight sting from the sharpness of its beak is felt. It is beguilingly wonderful; it is structure, subversion and freedom, and it is given with total love. Ten years on and my adoration of all things Shaun Leane has grown. 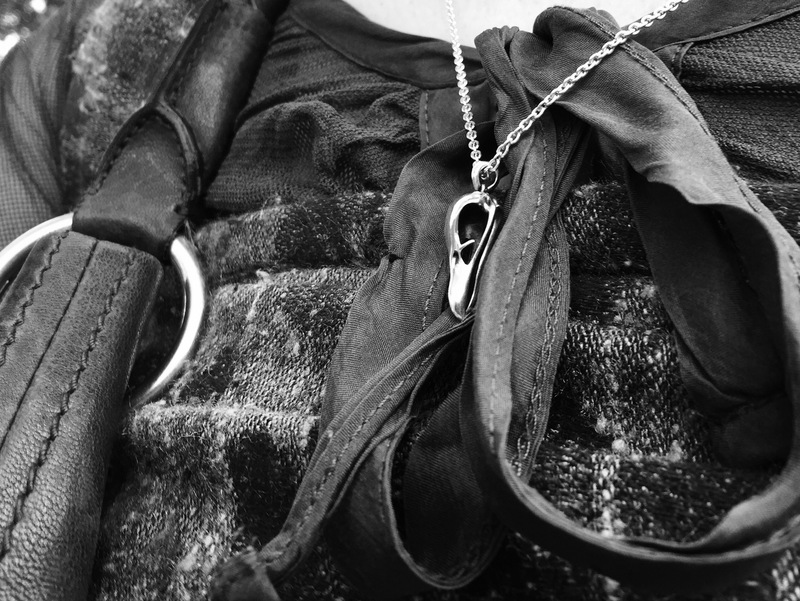 I wear his pieces most days for, like McQueen’s clothes, Leane’s jewellery forms “a patina of armour to shield [me] from danger” (Wilson, 2015) and they are beautiful. Most of all, his pieces remind me of my father; the protection, love and strength he enveloped me in. Artipoppe W Black Pearl dressed up for the AP birthday event using an Alexander McQueen prototype houndstooth corsage from Fall 2009, Stephen Jones hat and a Shaun Leane flower piece. Next Punk McQueen: just open the box!